My Friend Dahmer is the hauntingly original graphic novel by Derf Backderf, the award winning political cartoonist. 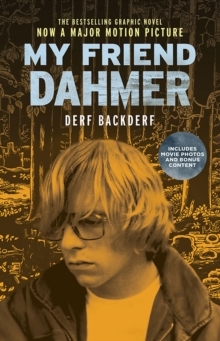 In these pages, Backderf tries to make sense of Jeffery Dahmer, the future serial killer with whom he shared classrooms, hallways, libraries and car rides. 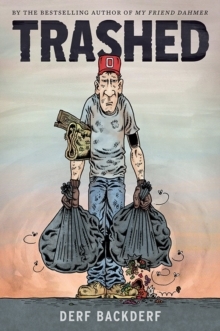 What emerges is a surprisingly sympathetic portrait of a young man struggling helplessly against the urges, some ghastly, bubbling up from the deep recesses of his psyche. 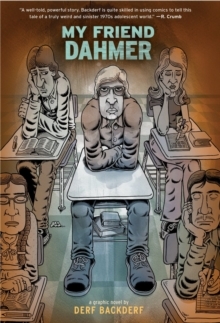 The Dahmer recounted here, although universally regarded as an inhumane monster, is a lonely oddball who, in reality, is all too human. A shy kid sucked inexorably into madness while the adults in his life fail him. The crimes Dahmer committed are incredibly depraved, infamous and unforgettable, but in My Friend Dahmer, Backderf provides profound insight into how, and more important, why Jeffery Dahmer transformed from a high school loner into the most depraved serial killer since Jack the Ripper, coming as close as anyone yet has to explaining the seemingly unexplainable phenomenon of Jeffery Dahmer.